Budding cherry blossoms are one of the prettiest seasonal signifiers that spring in NYC is in full swing. If you think the Brooklyn Botanic Garden is the only place you can see those beautiful, pink-petal trees, guess again! There are a handful of spots in the city where you can see cherry blossoms, and one of our favorites is Central Park. 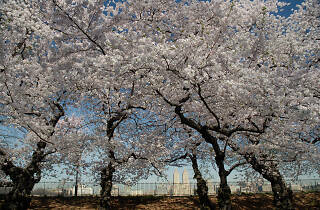 Hundreds of cherry trees bloom along the Reservoir starting in April. 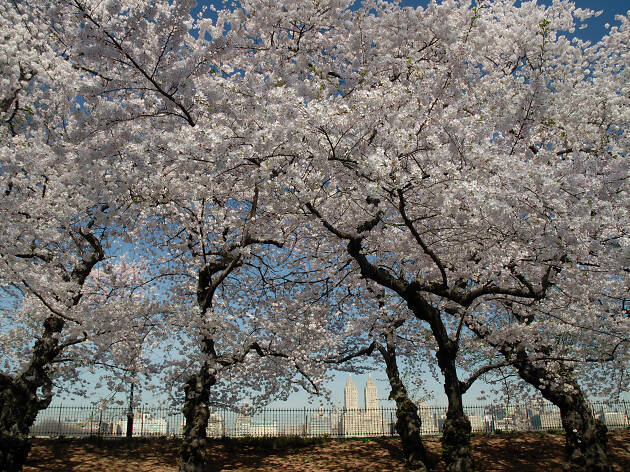 To honor this, Central Park has launched a new Cherry Blossom Tour for folks who want to learn the history of this area as well as where the trees came from.